Shiatsu was developed more than 5,000 years ago in Asia, and although people have benefited for centuries, it has only been used with animals fairly recently (since late 20th century). Although sharing principles of acupuncture, no needles are used and it is therefore 'non-invasive'. Instead it's based on finger pressure applied acupressure points, which gently stimulate the natural healing ability of the body. In Shiatsu there are 12 meridians, each of these has a powerful effect on the horses health. The meridian are 'paired' with each other, they are paired because one is the Yin and the other the Yang, buy working each pair together you can improve the results of each one separately. This is because if one sister meridian had an energy excess the other will show a deficiency in energy. By stimulating both it can address the imbalance and help promote good health. There are links to Five Element Theory - find out more about this at our advice page here. A wide variety of techniques are used, involving pressure, stretching and rotation. Can Dogs Benefit From Shiatsu? Yes, both horses and dogs can enjoy a shiatsu treatment. Shiatsu is based on communication and physical contact - touch being an aspect that both horses and dogs understand very well. How Can Shiatsu Help My Horse or Dog (Or Other Animal)? Also, horses and dogs can find Shiatsu helpful as part of their warm-up or cool-down routine, whether they're an animal who competes (eg. dressage/showjumping/event horses, or agility dogs, etc), or a leisure horse or dog who would like to get the maximum enjoyment out of their everyday exercise. How Long Will An Animal Shiatsu Therapy Session Last? Typically a session will last approximately 1 hour. Although the first session maybe slightly longer, in order that the equine or canine shiatsu therapist can assess your animal. Will A Shiatsu For Animals Therapist Be Qualified? 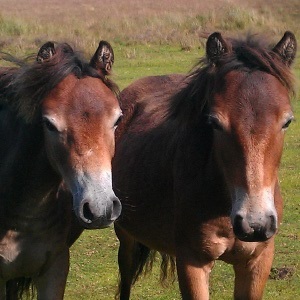 Shiatsu for horses therapists can be registered with The Equine Shiatsu Association (tESA). tESA are a professional organisation who require its members to adhere to various professional standards. For more information please visit tESA here. Please note: Animal Shiatsu is not intended as a substitute for veterinary advice or treatment. If in doubt, please consult your Veterinary Surgeon before commencing Shiatsu - in fact, a shiatsu therapist will usually only work in conjunction with your Veterinary Surgeon in order to fully help your animal. 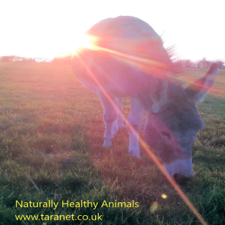 Would you like information on Shiatsu Therapists for your horse or dog? Please email us at info@taranet.co.uk - we'll be pleased to try and assist!